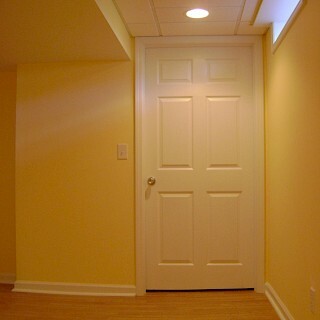 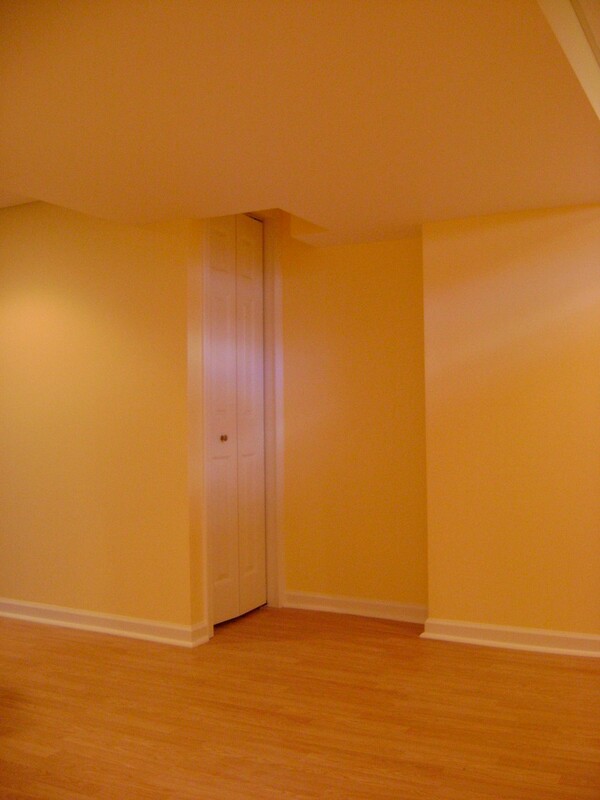 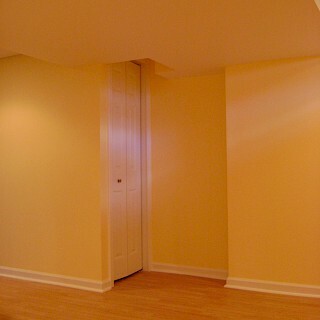 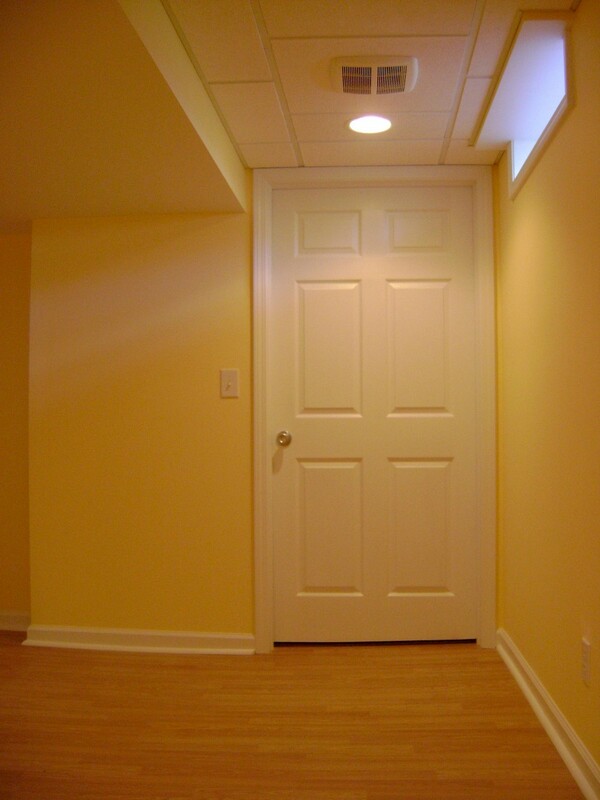 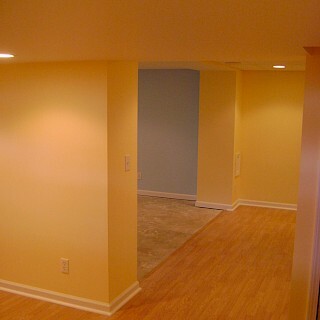 This was the first job of many for this client of Exemplar Carpentry. 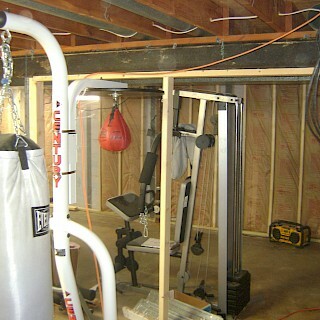 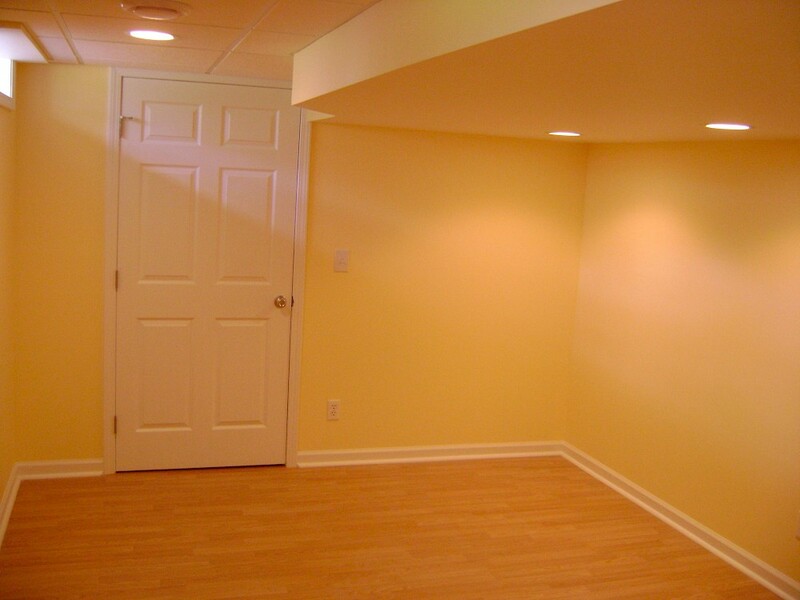 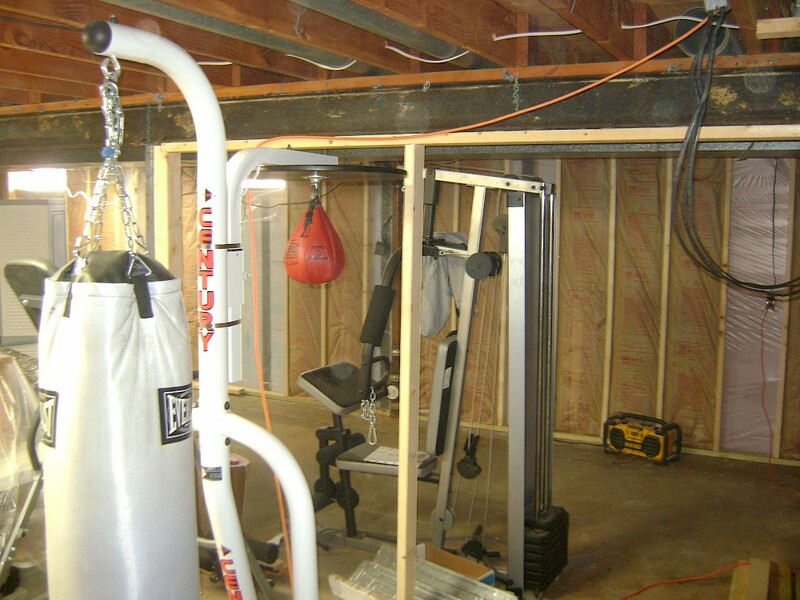 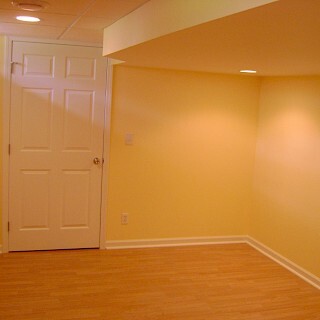 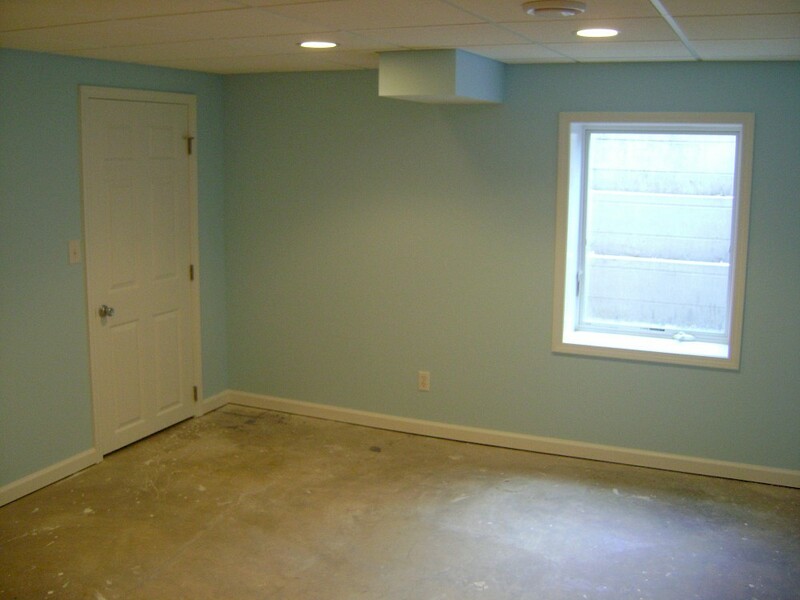 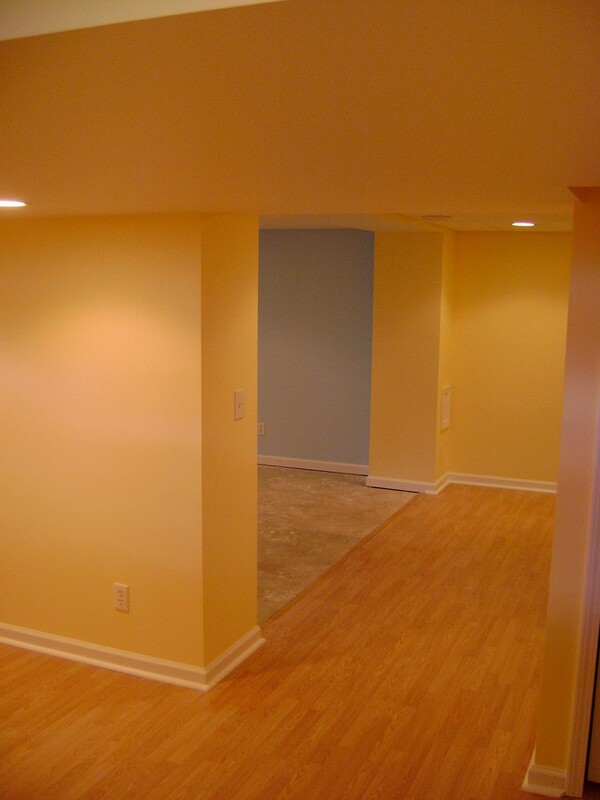 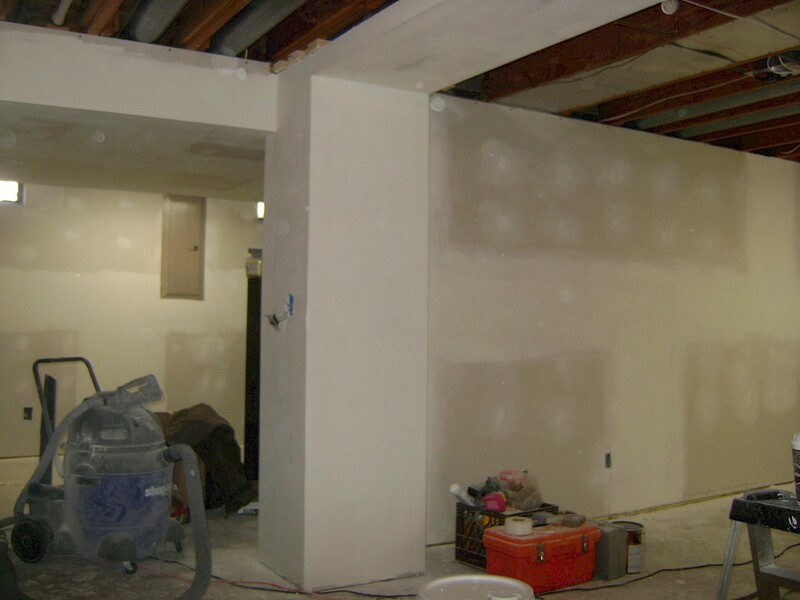 We transformed this drab, half-finished basement into an inviting, new space featuring a large entertainment room, fitness area, and a walk-in closet. 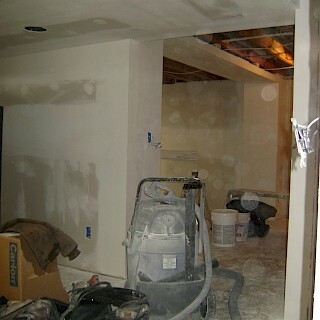 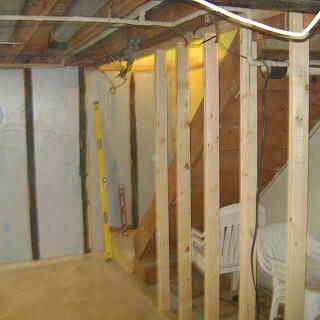 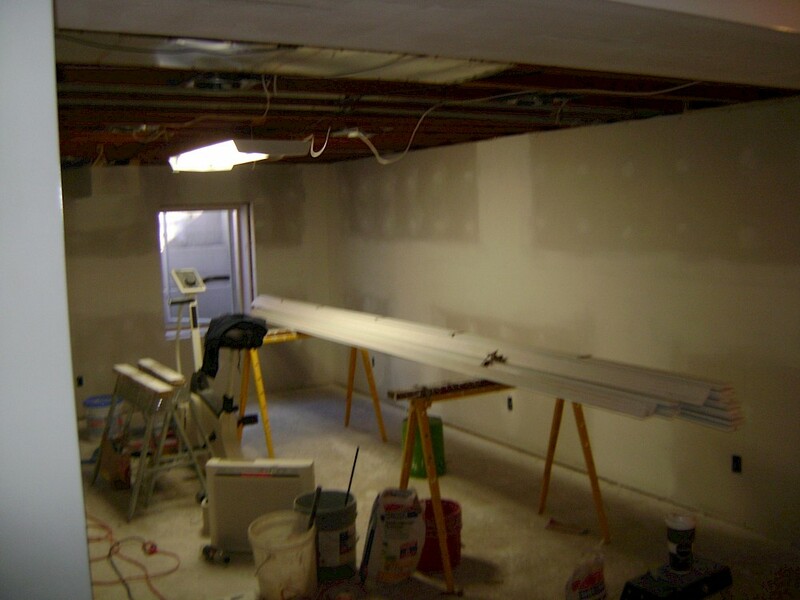 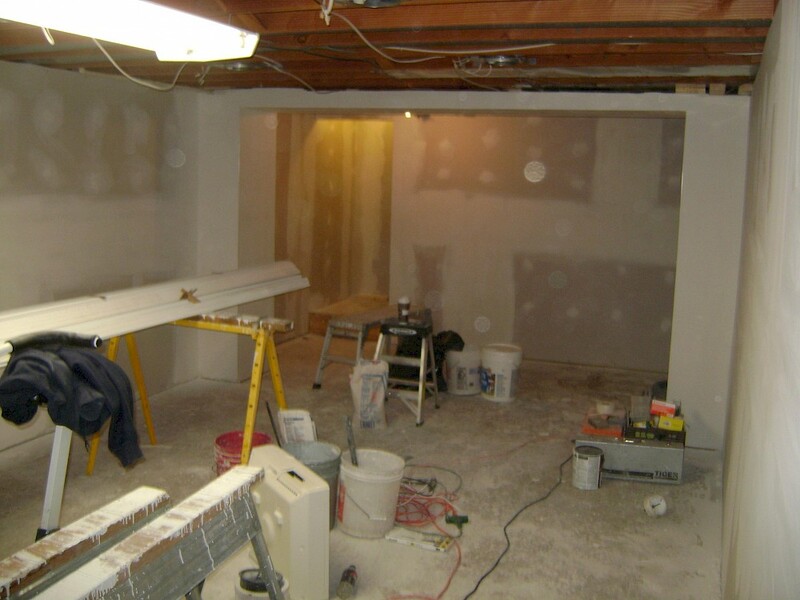 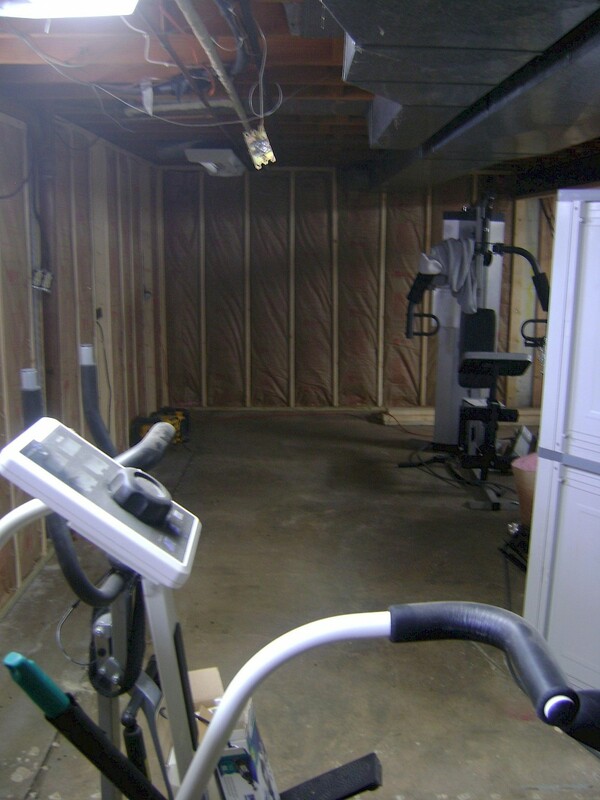 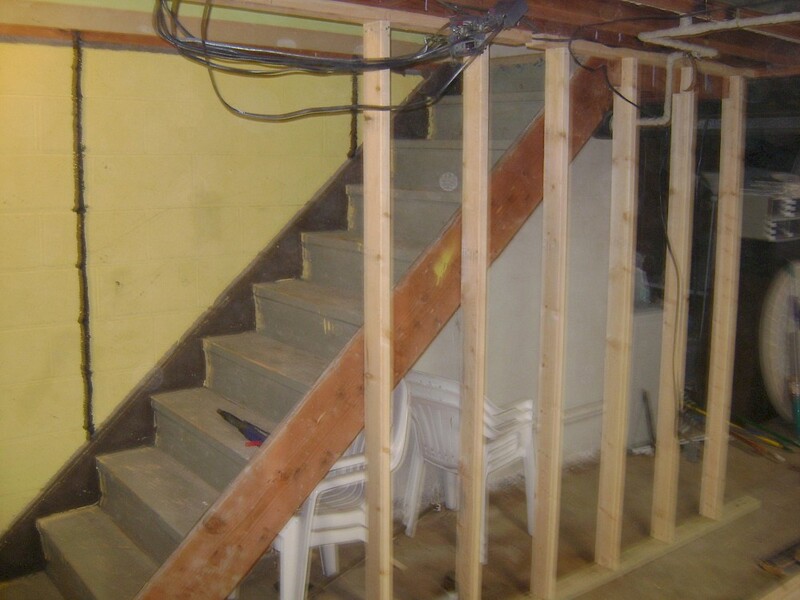 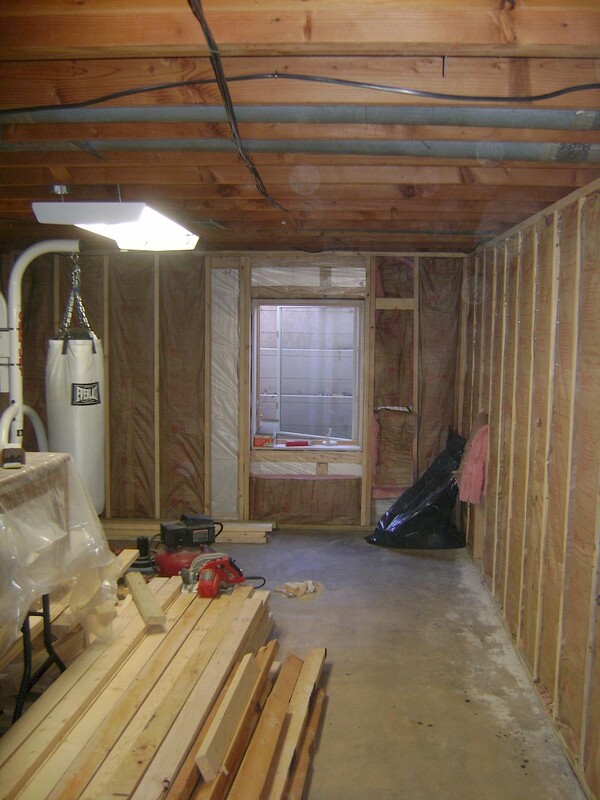 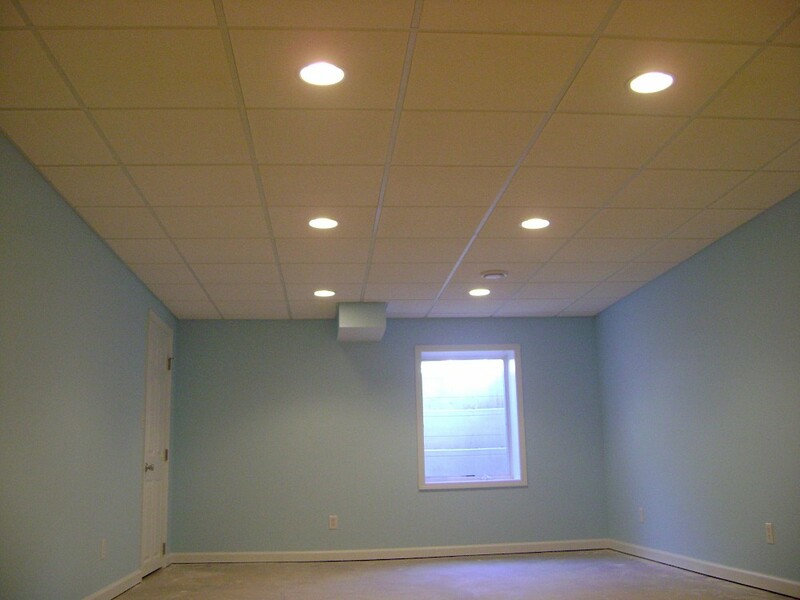 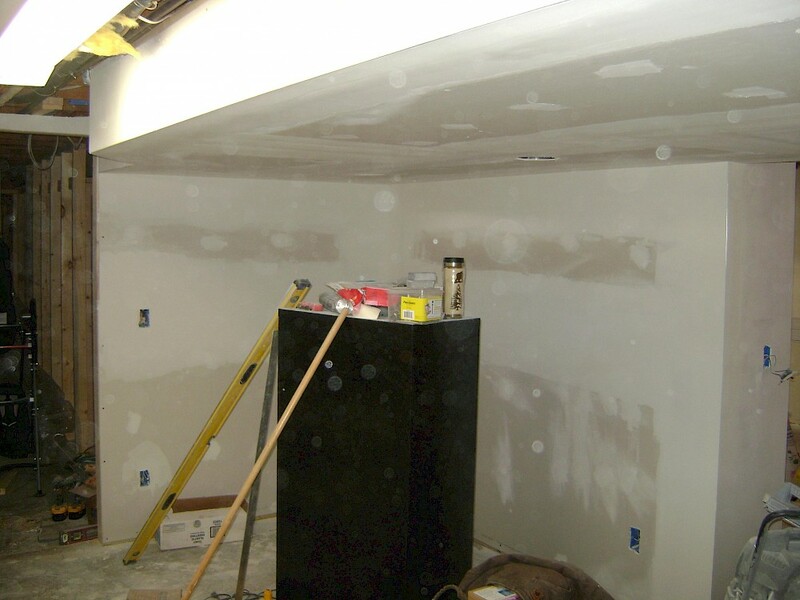 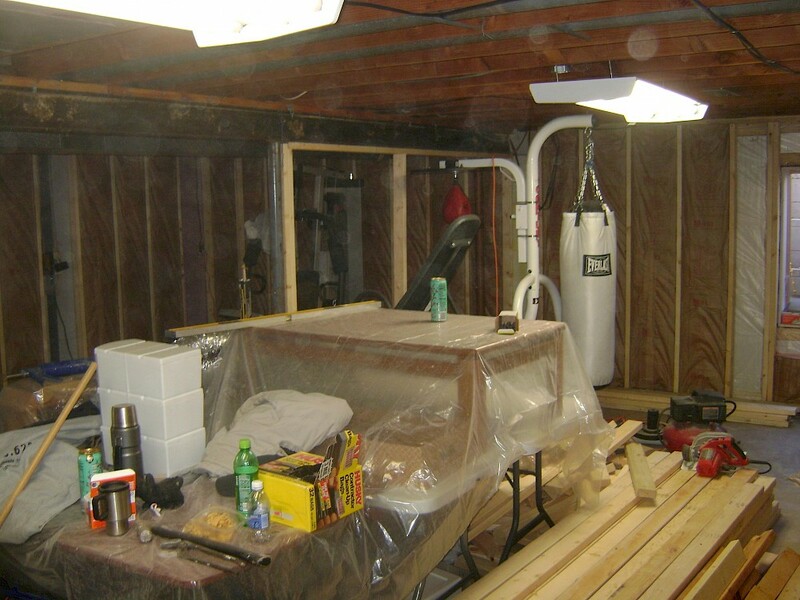 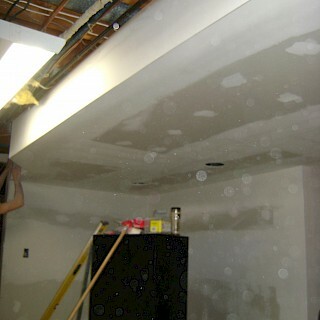 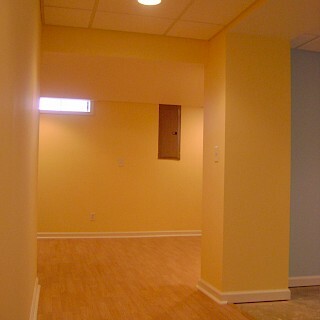 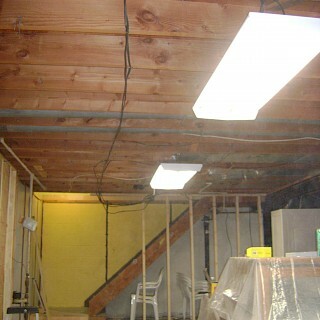 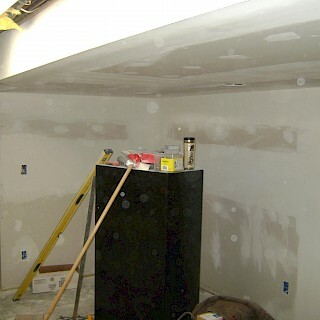 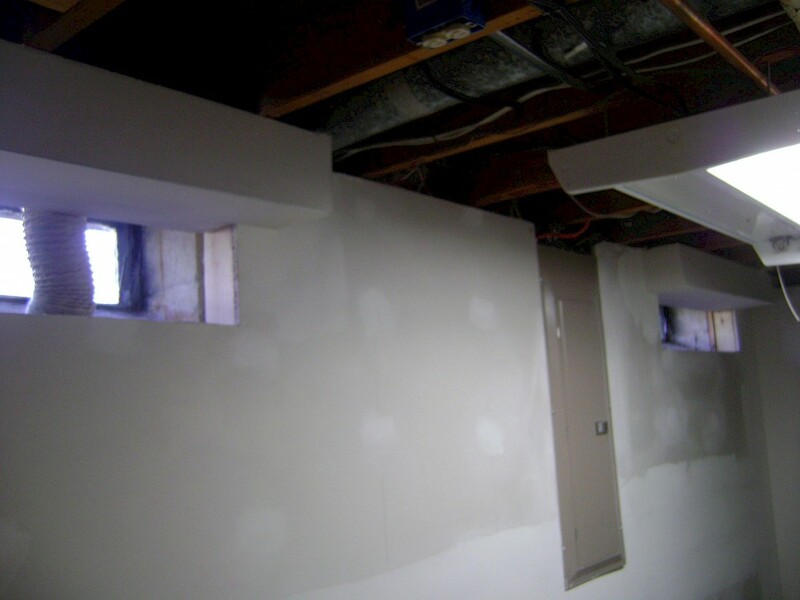 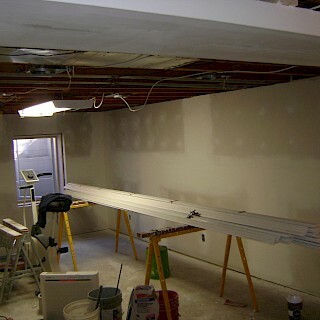 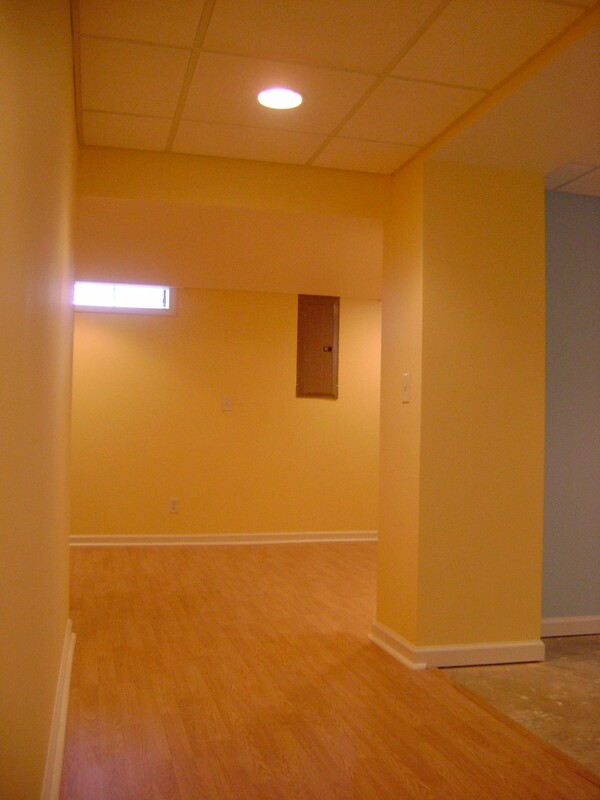 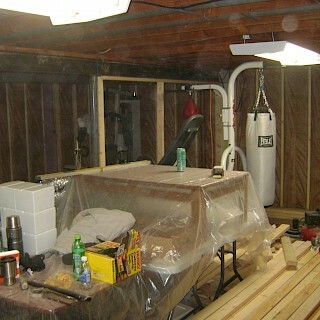 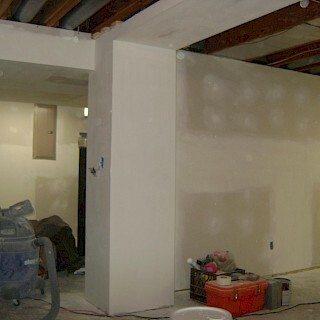 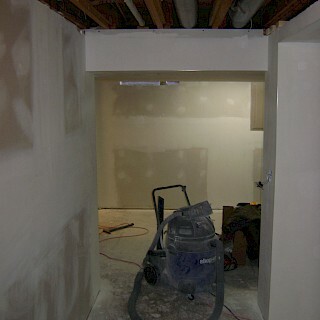 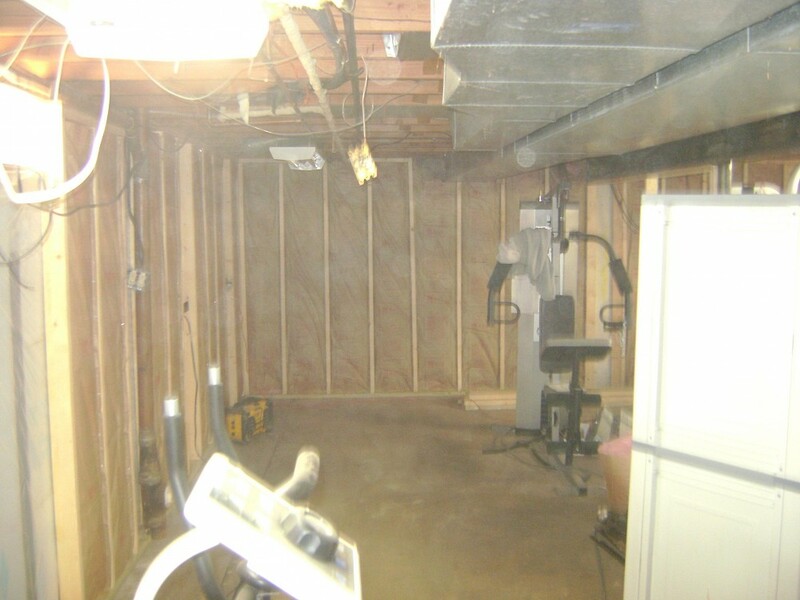 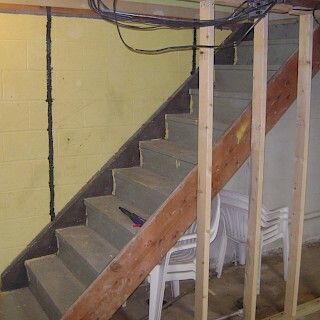 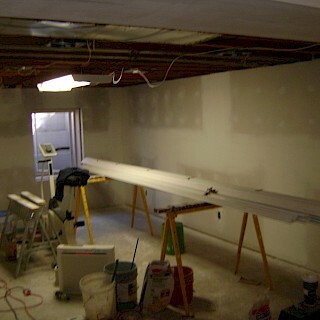 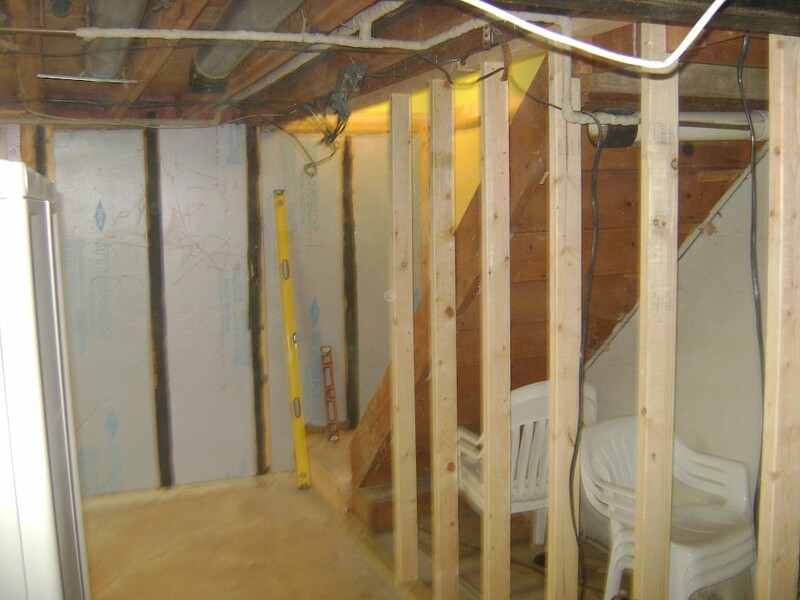 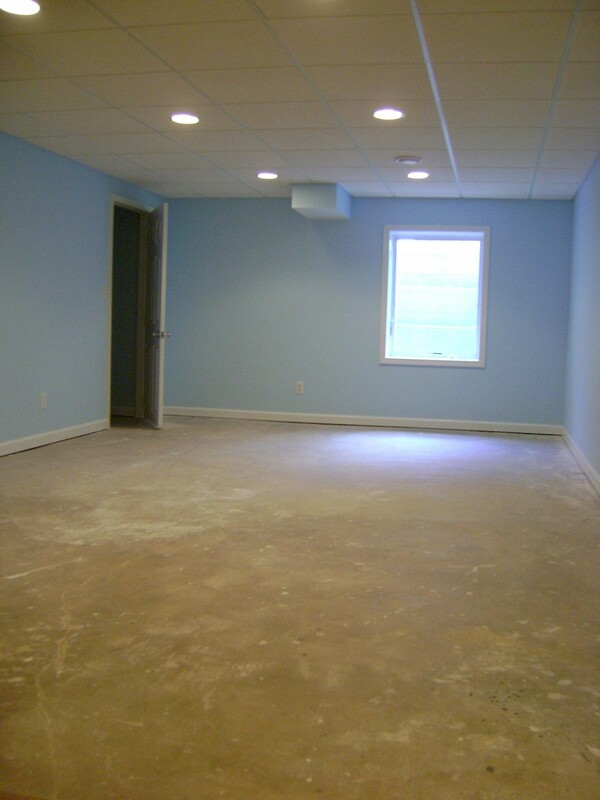 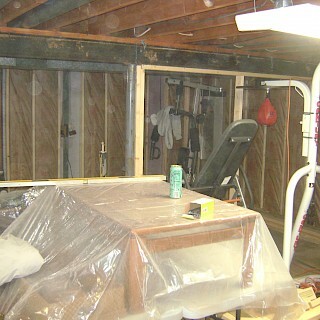 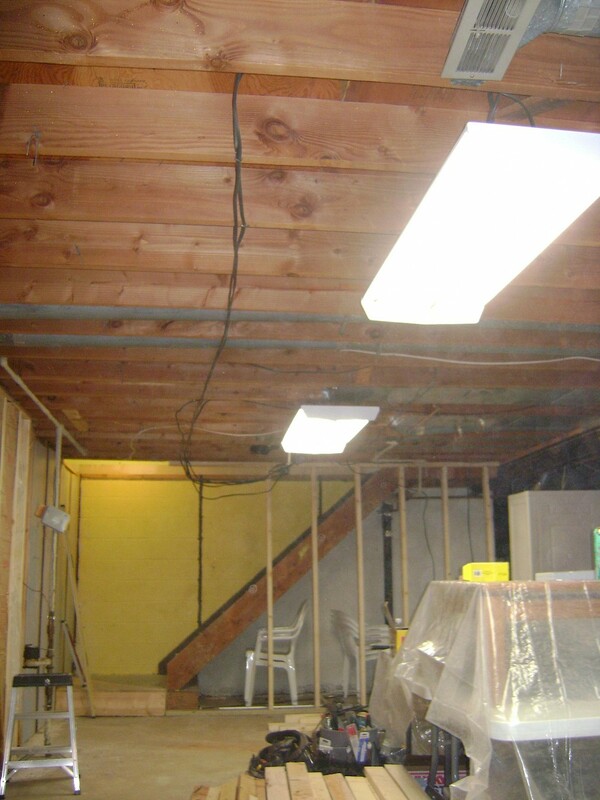 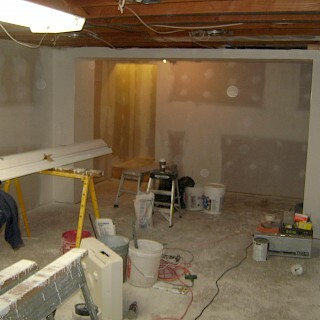 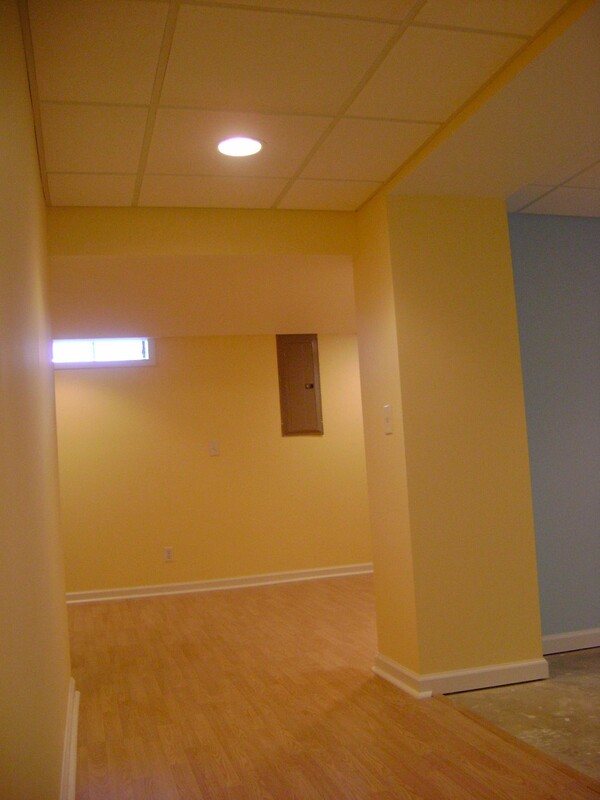 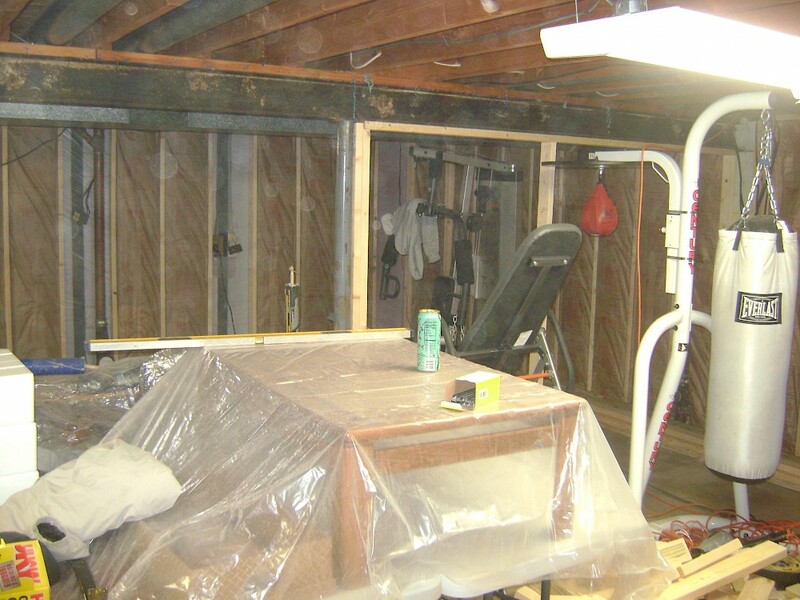 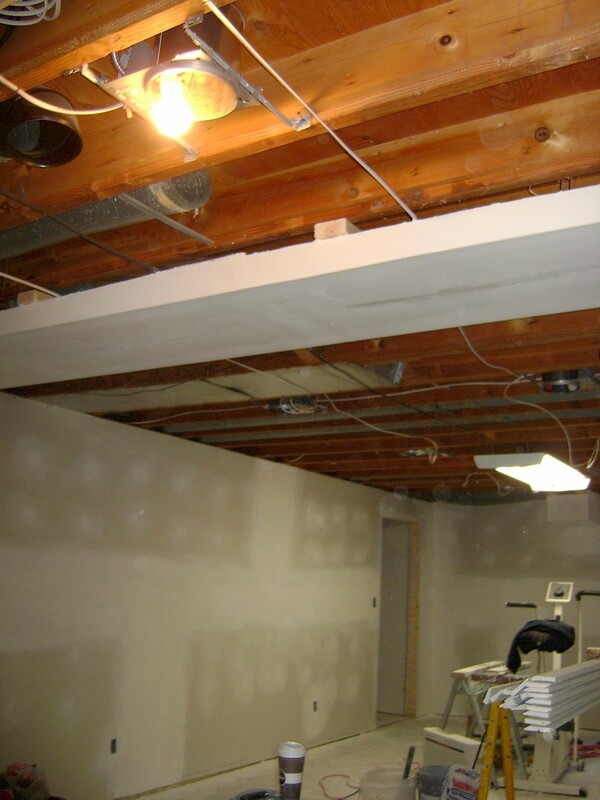 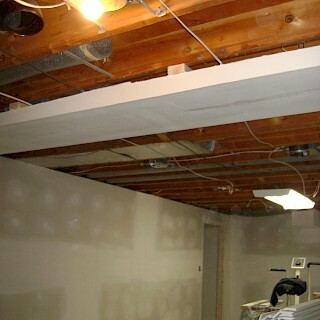 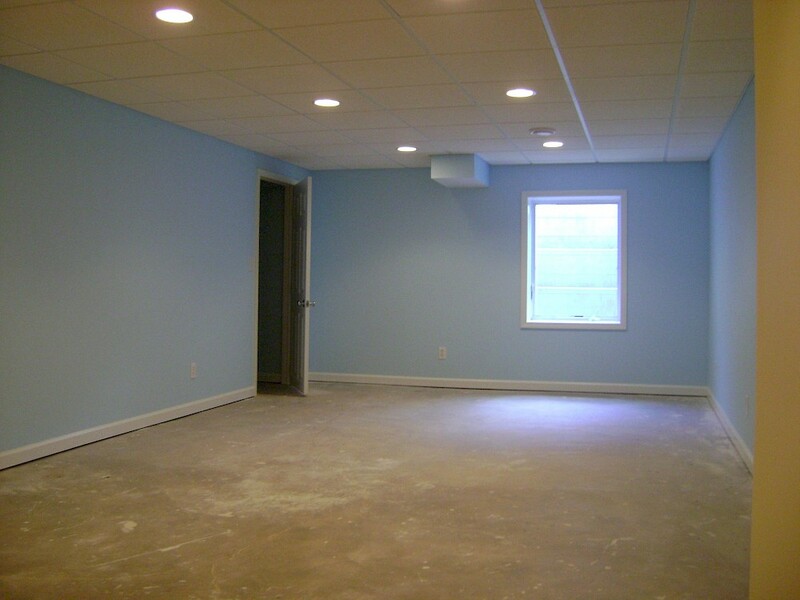 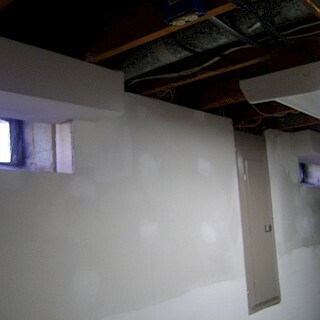 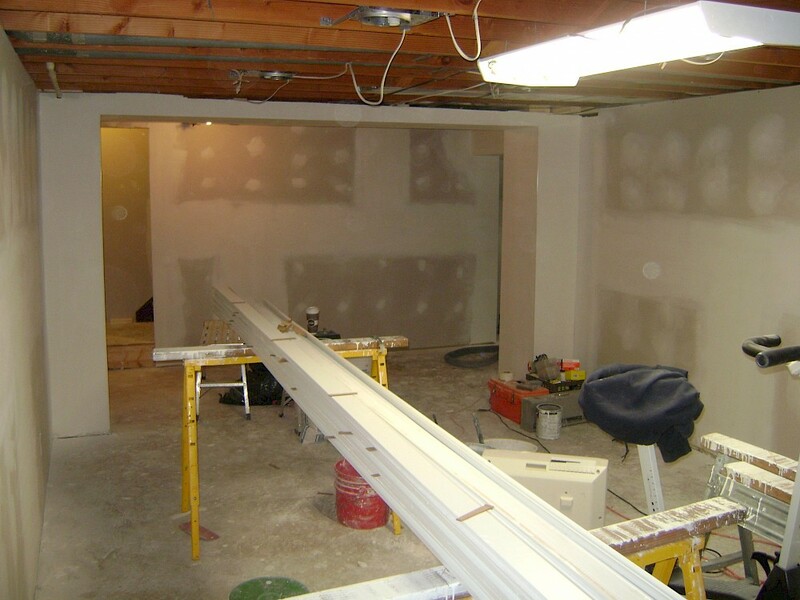 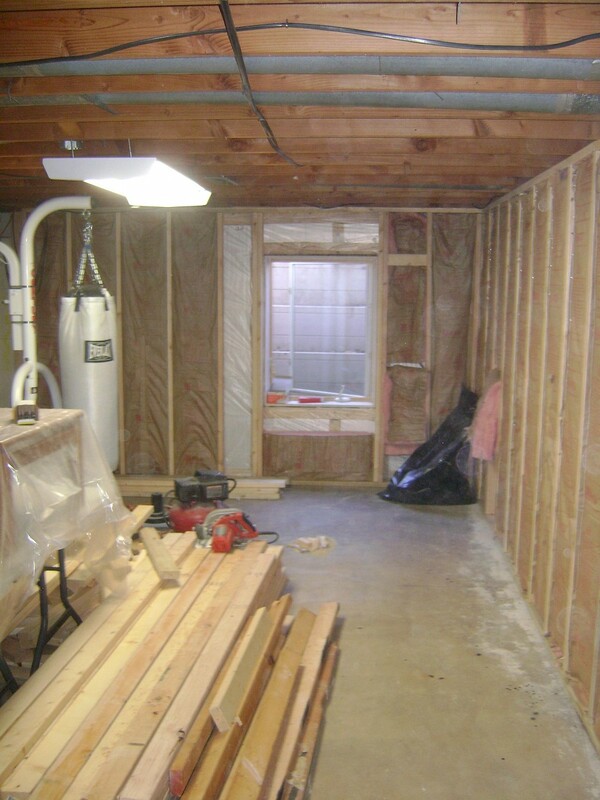 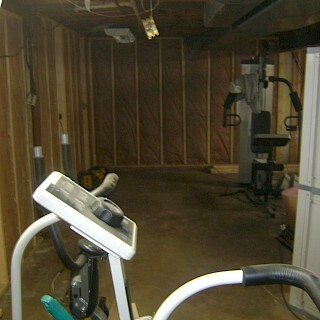 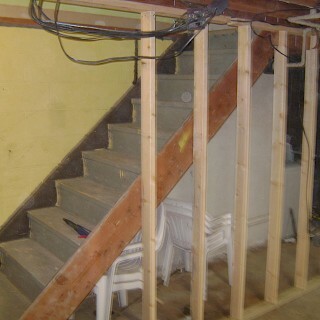 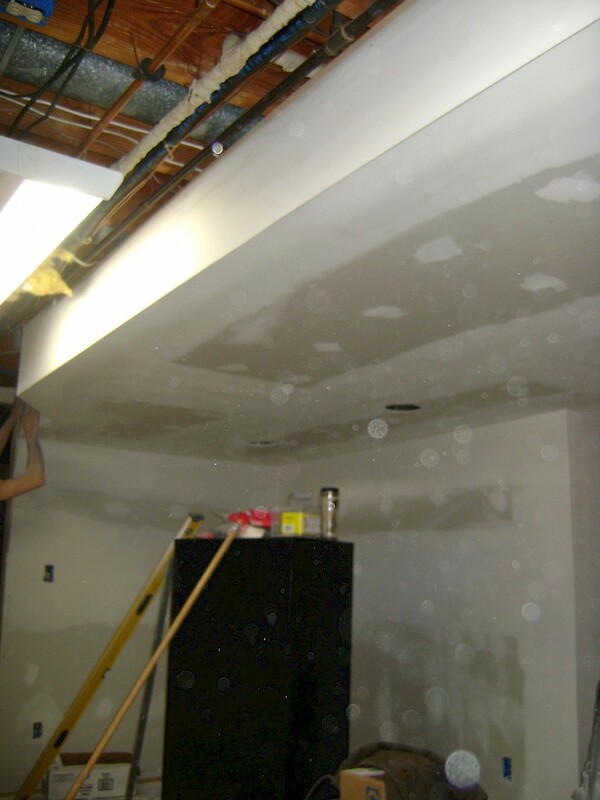 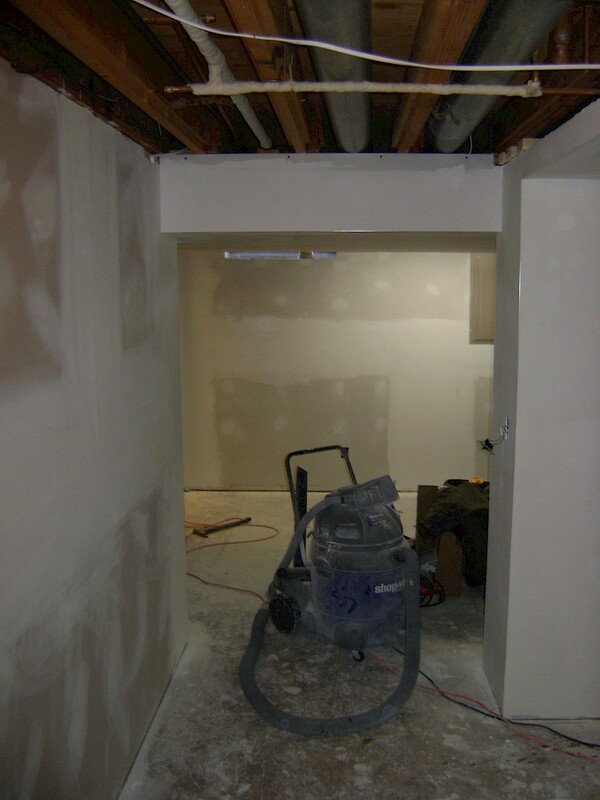 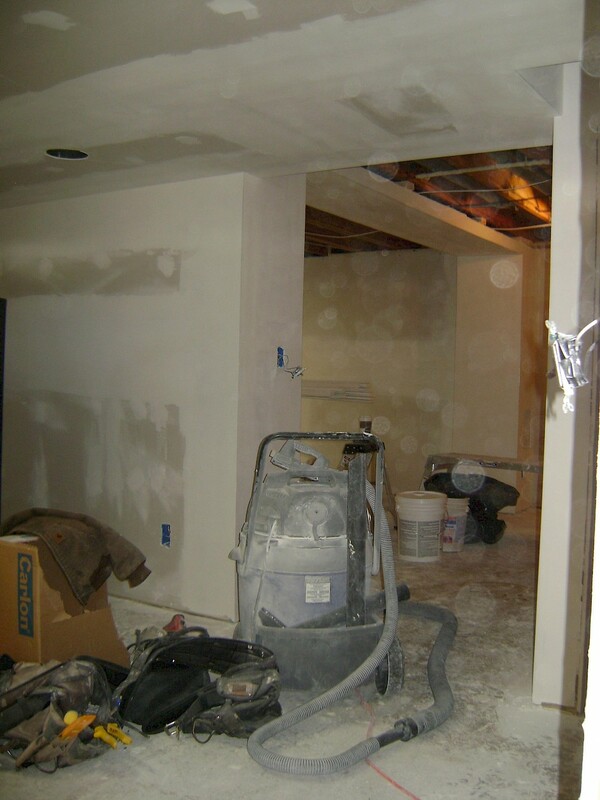 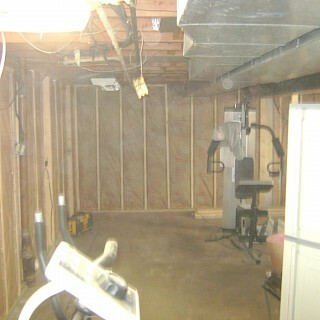 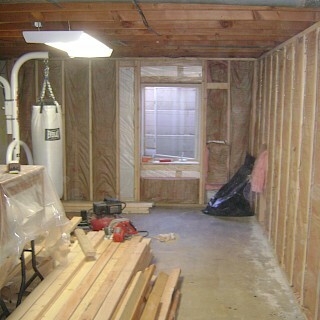 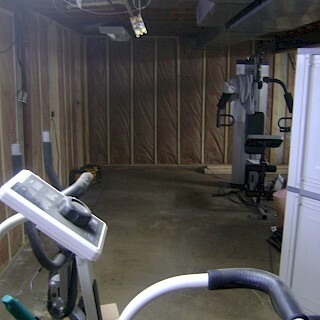 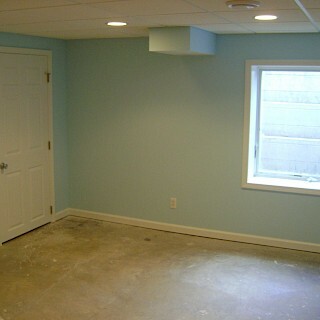 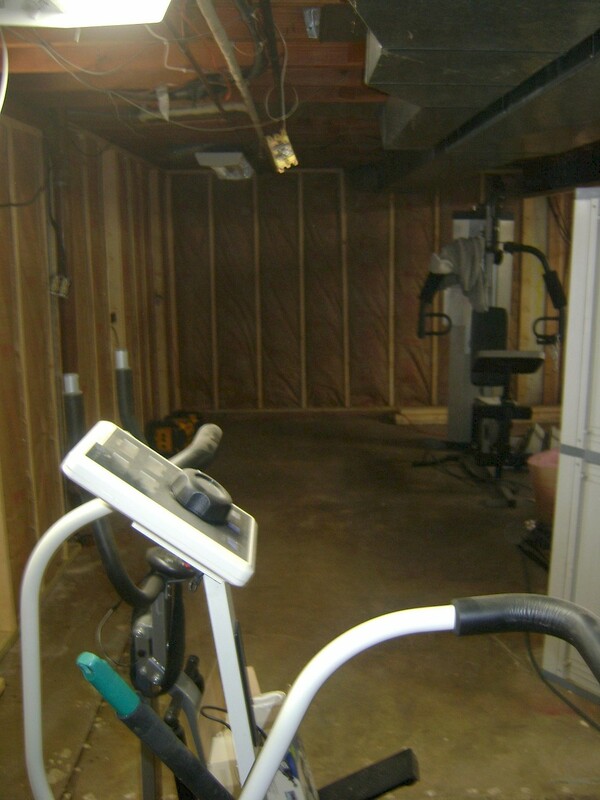 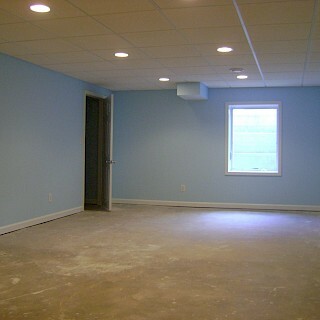 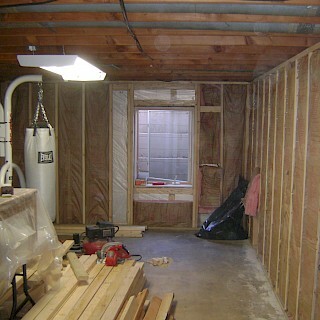 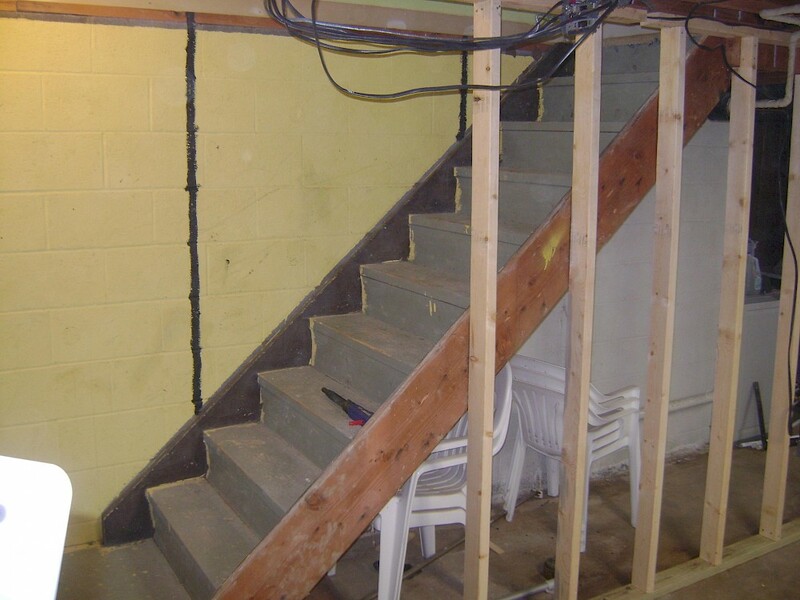 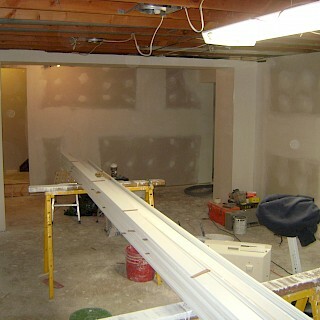 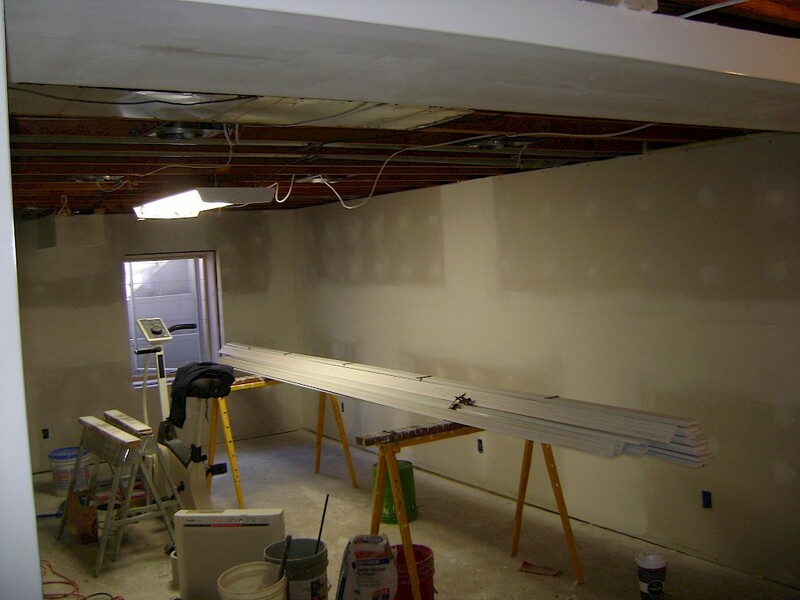 We started by demolishing the previous basement and starting over with new electrical and drywall. 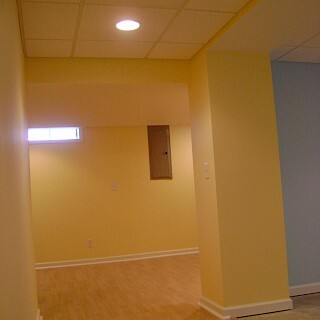 We used Benjamin Moore paints throughout and added painted finished trim. 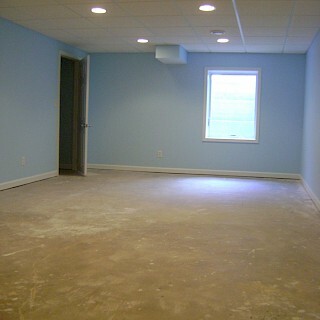 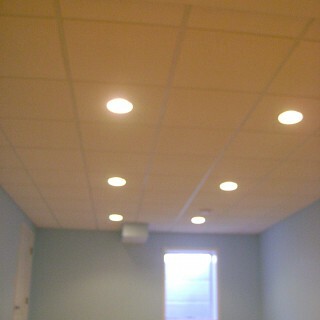 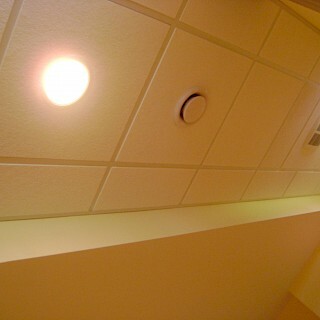 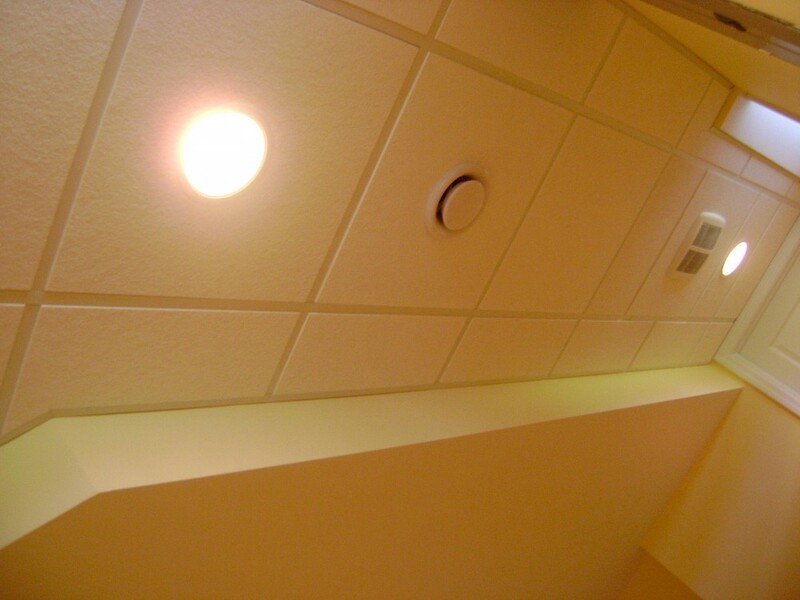 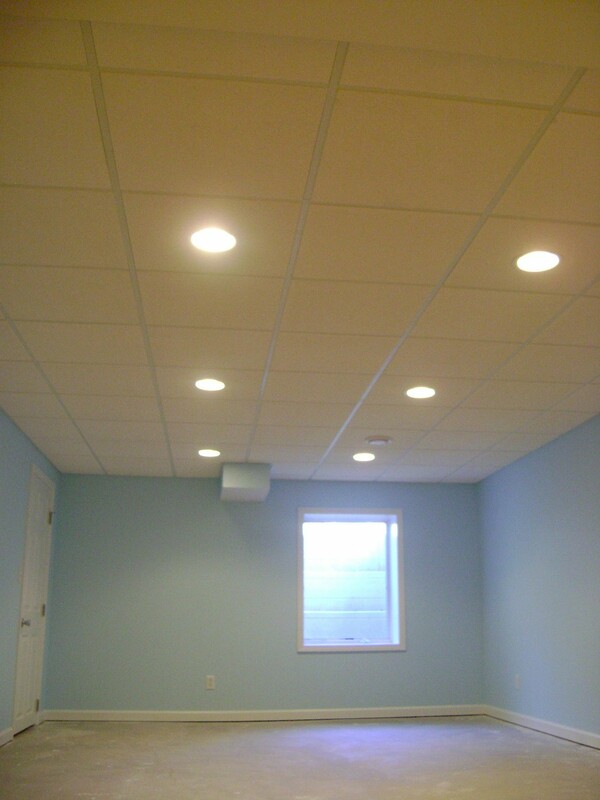 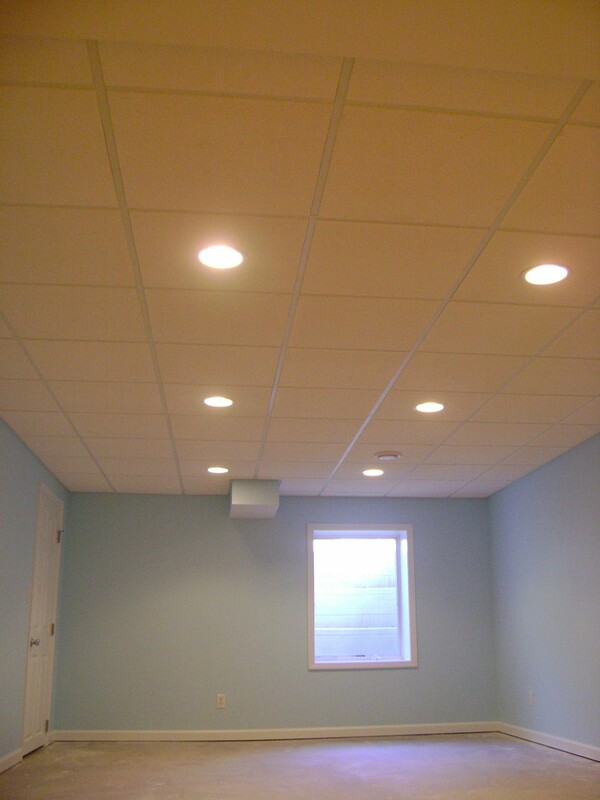 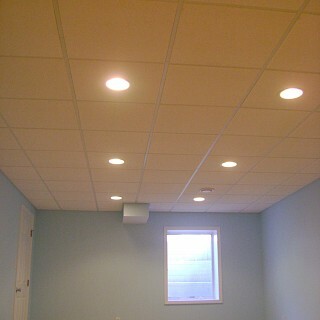 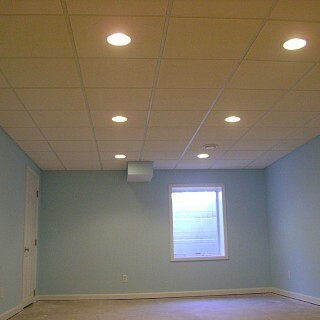 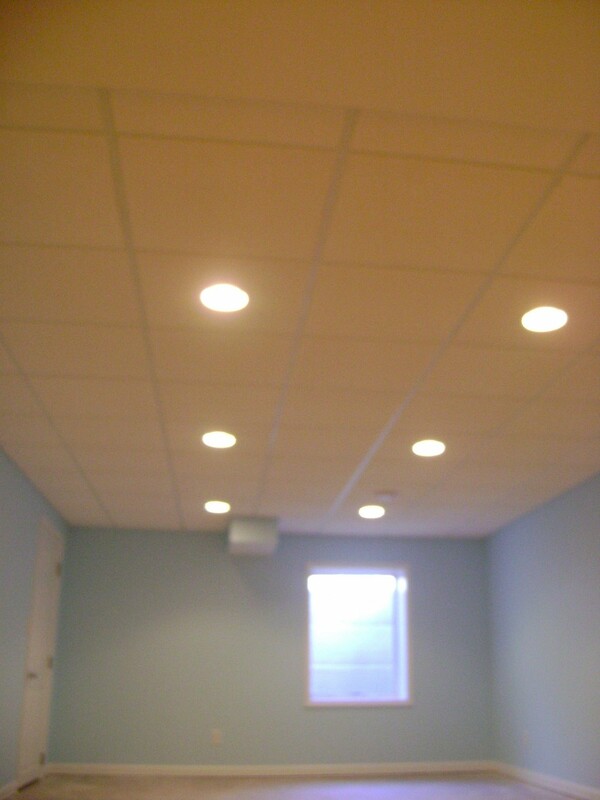 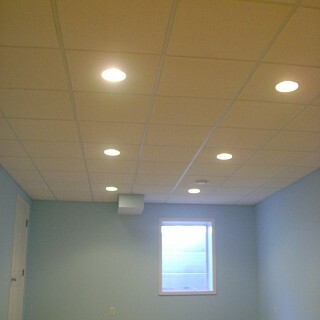 To complete the space a suspended ceiling and laminate flooring was installed.